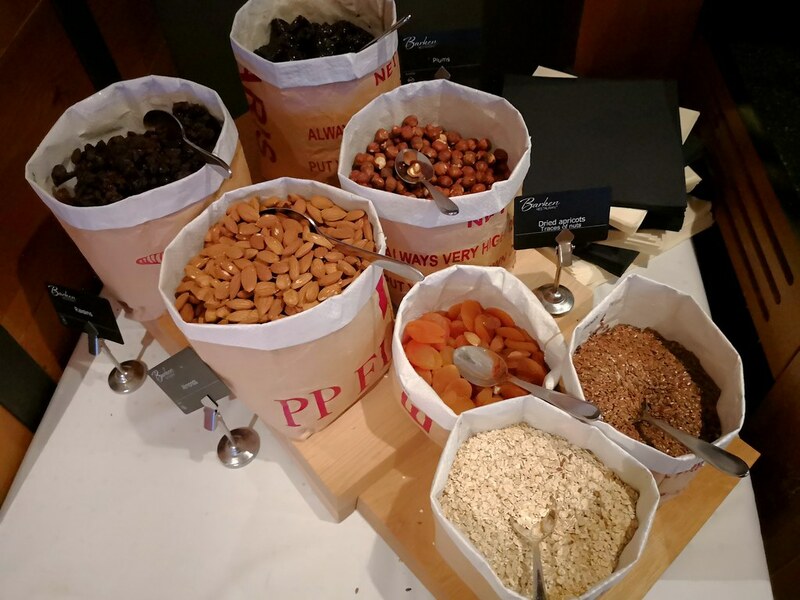 Following on my previous post of my stay in the Radisson Blu Mountain Resort, I mentioned the resort has 2 main restaurants – the Barken Buffet Restaurant and the Stabben Afterski Restaurant, with another smaller bistro/cafe on the ground floor of Lodge A. 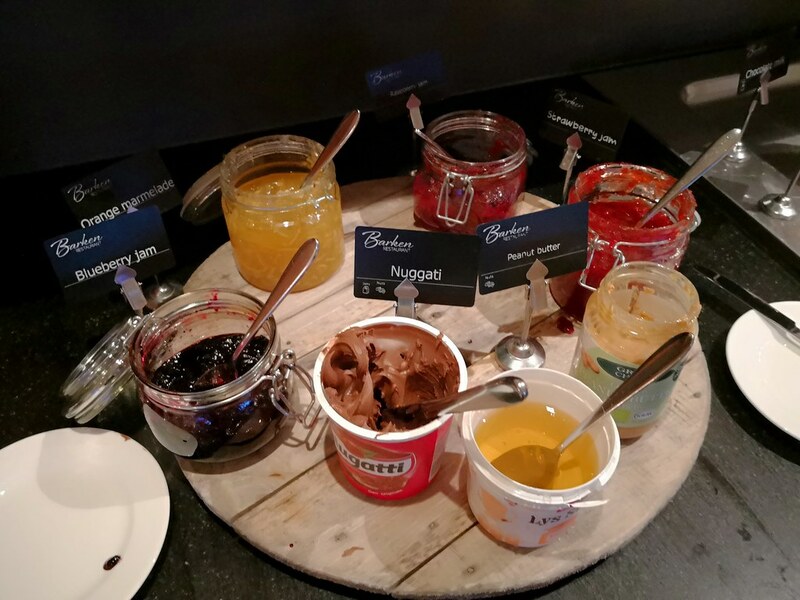 Breakfast was included in my room rate and served in a buffet format at Barken Restaurant. 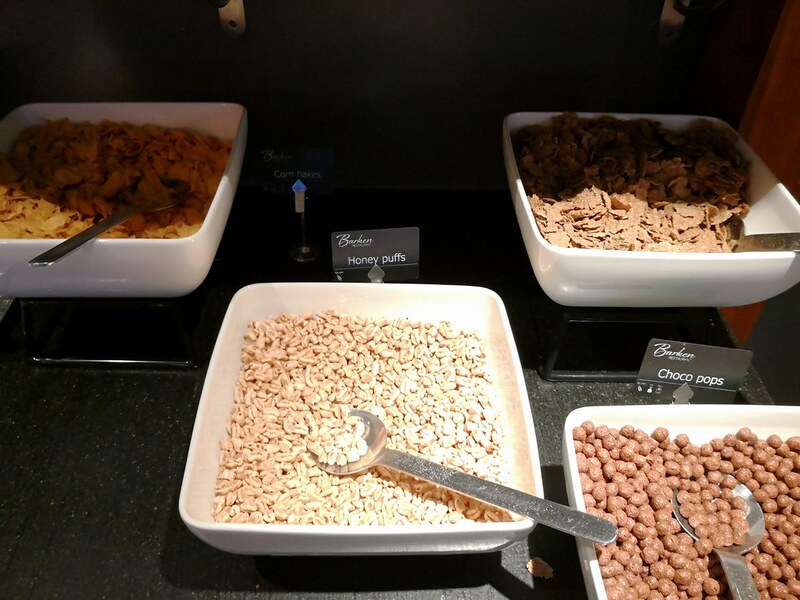 Starting with the dried food, there was nuts and cereals that would be great with milk or yogurt. 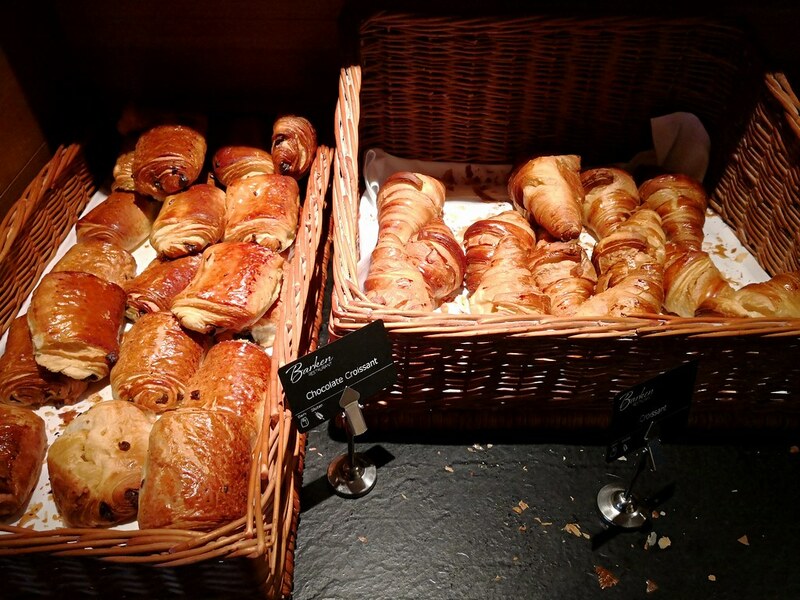 Normal butter croissants with chocolate croissants are served on the buffet along with bread and toaster. Peanut butter, nugati (something like Nutella), honey, strawberry, orange and blueberry spread was available on the side to sweeten things up. 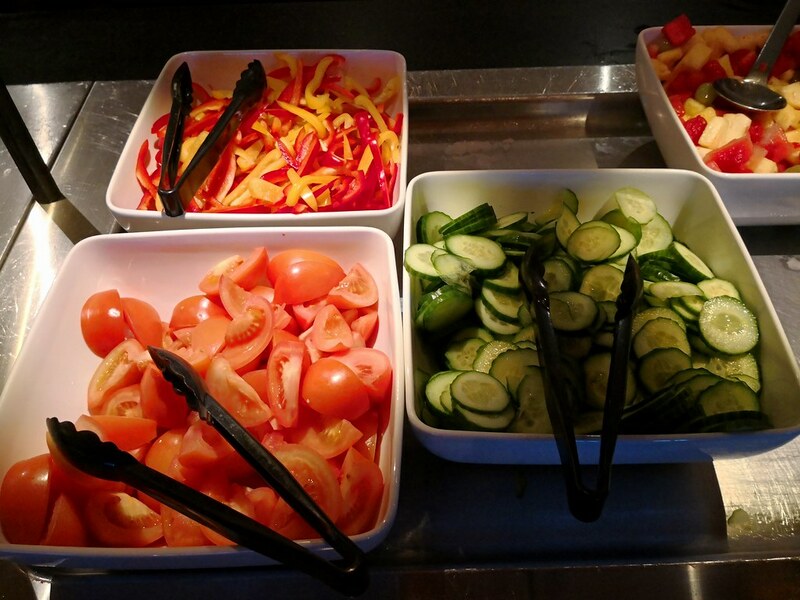 On the central buffet counter, there was sliced vegetables and fruit cocktails, enough for a healthy mixed salad in the morning. 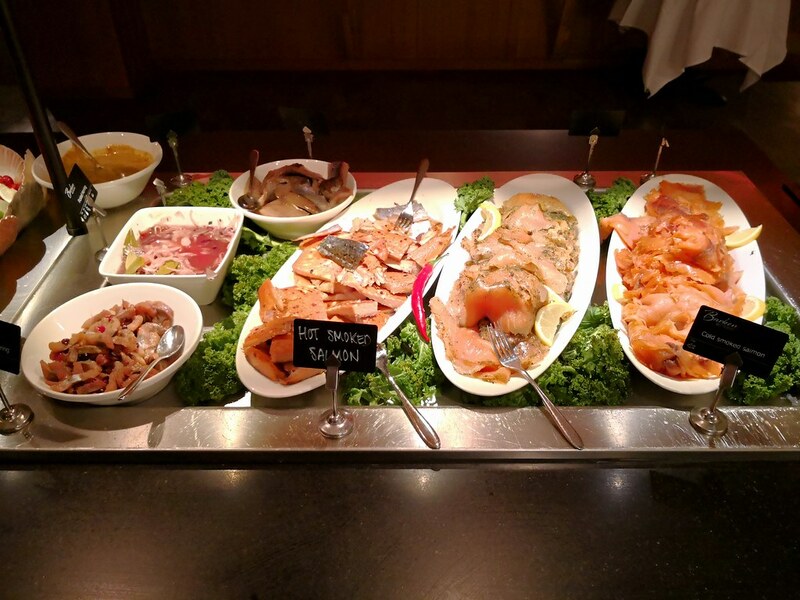 With Norway being one of the prime exporters of salmon, smoked salmon is a must here and there was even other pickled fish in the buffet counter that locals enjoy. These sliced salmon and pickled herring can be enjoyed with olives, sour cream and mustard as they are placed conveniently side by side. 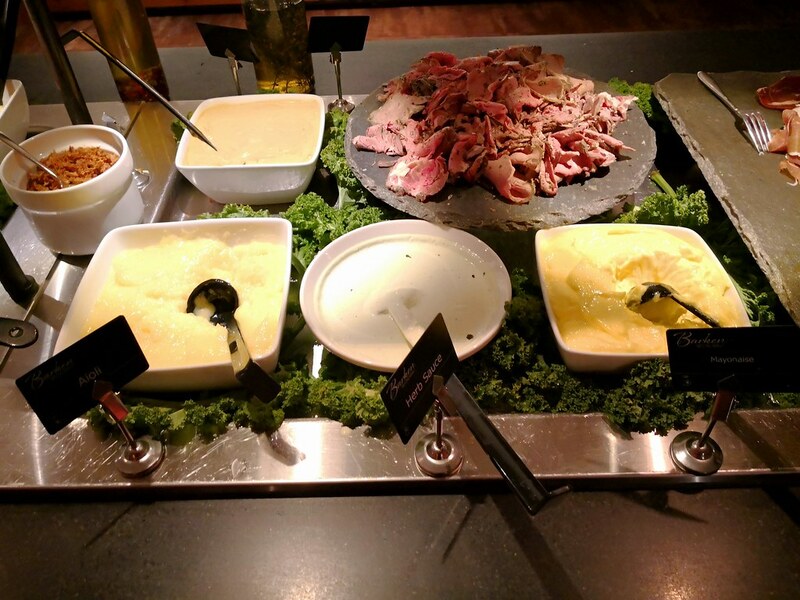 An assortment of cold cuts with cheeses comprise the rest of the central buffet counter. 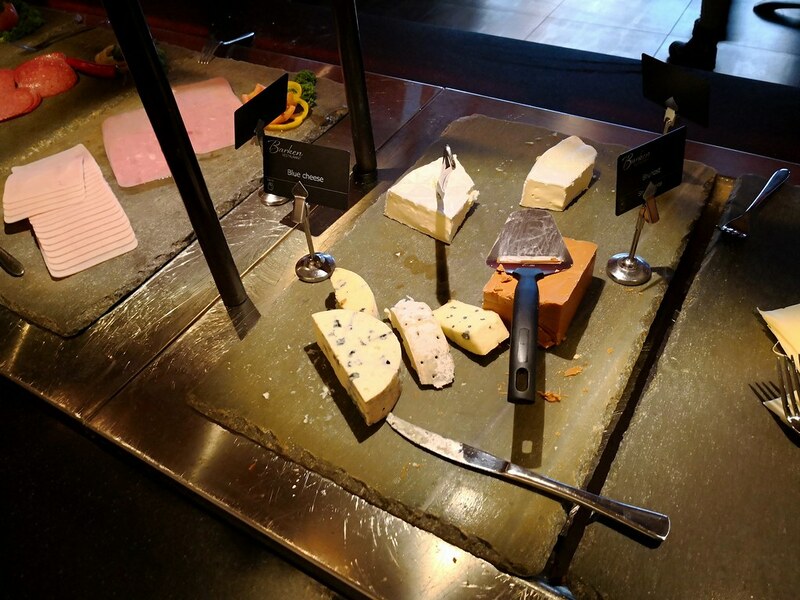 Norwegian brown cheese is served for breakfast as well. 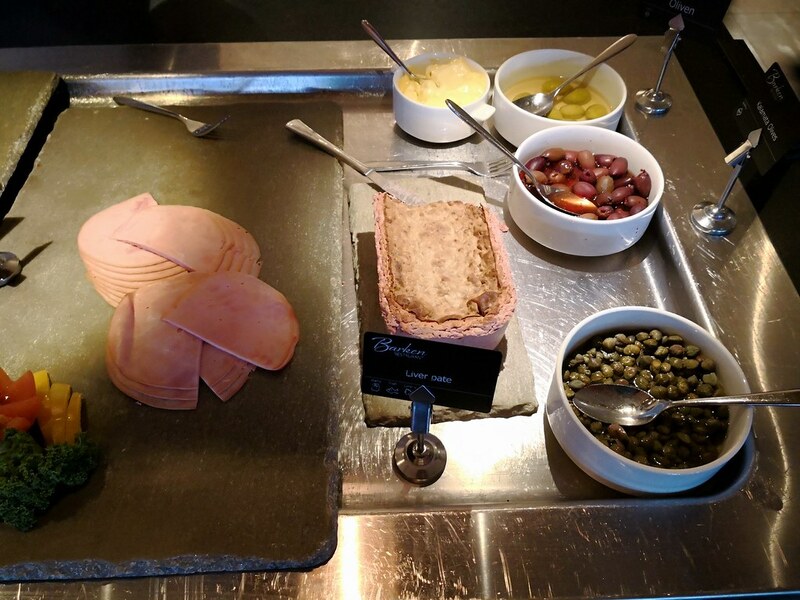 Liver pate is also served during breakfast like in many European establishments and side dishes like olives and chickpeas are found next to it. 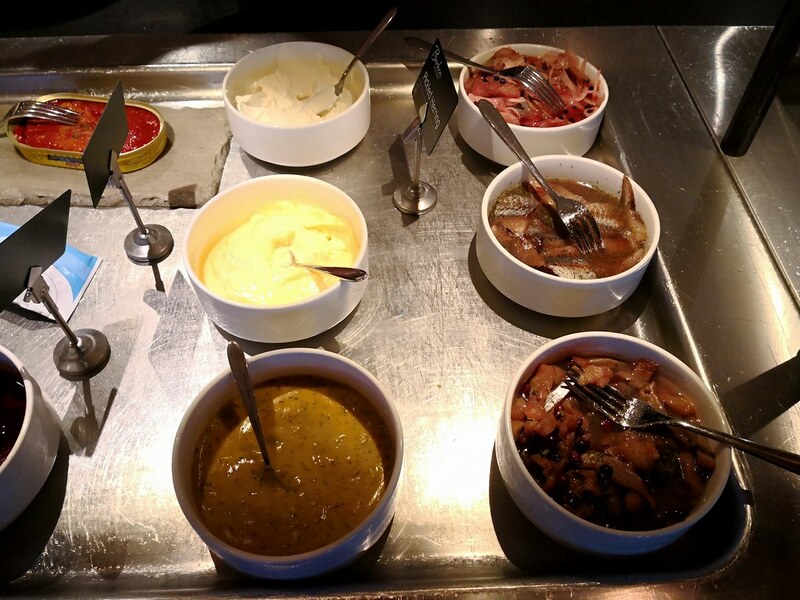 In addition to the wide range of continental food, the buffet comes with good bacon as well which was very much welcome! 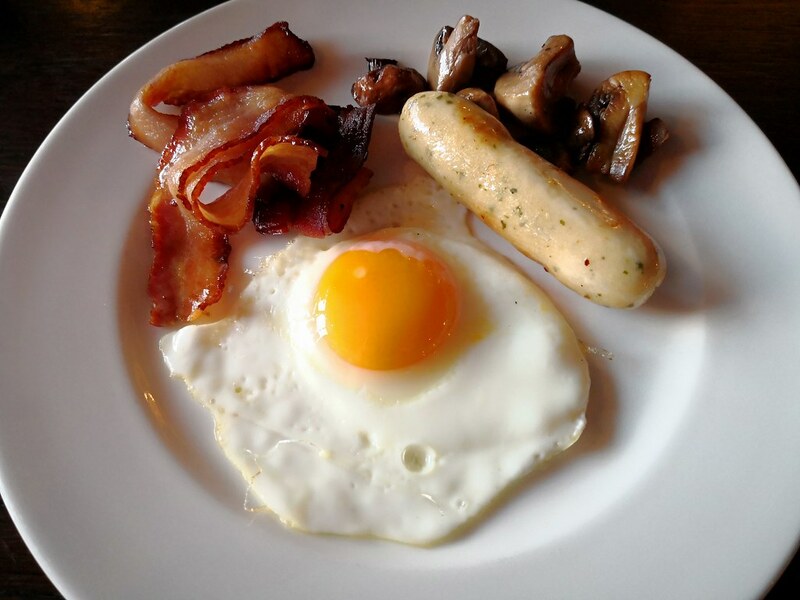 The bacon, sausages and sunny side-up eggs are found near the open kitchen area where they could be kept warm. 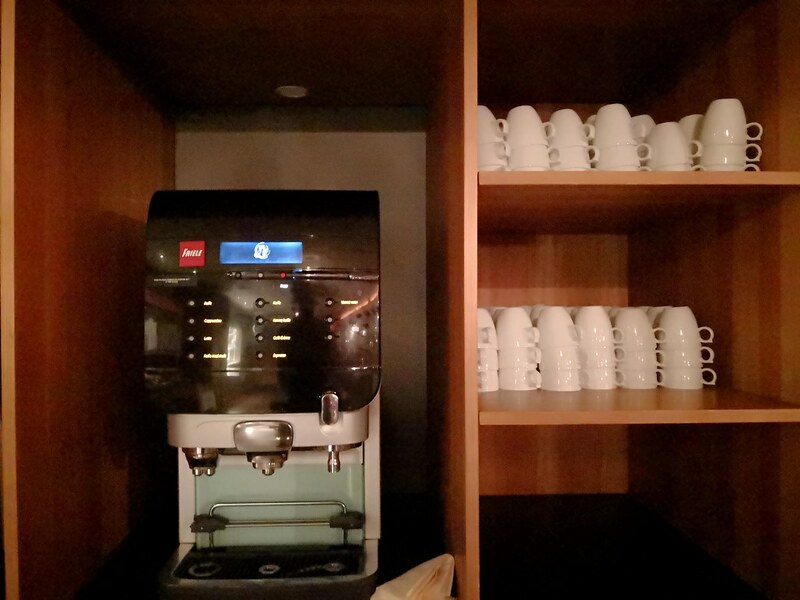 Latte and cappuccino available from the espresso machine and this was mainly self-serve. 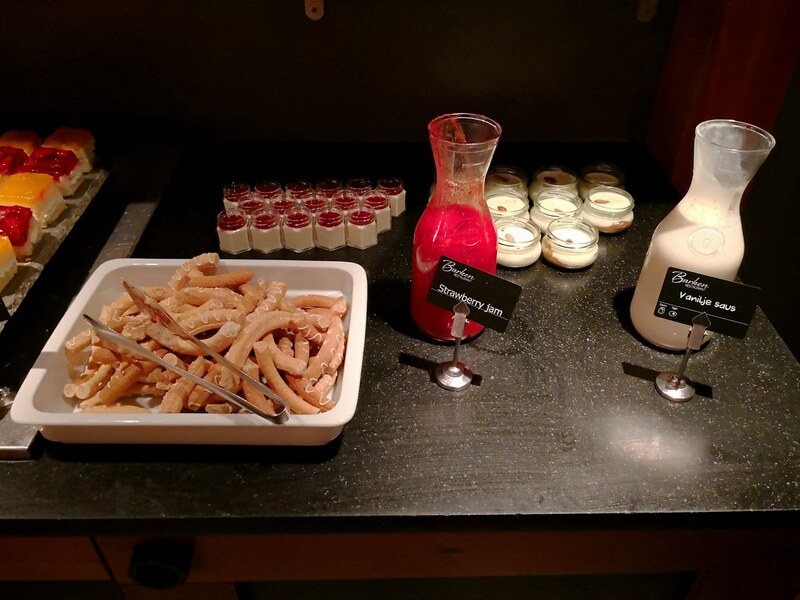 Milk and juices are available in the buffet as well so it was a nice breakfast buffet for a ski hotel making for a filled stomach before skiing. 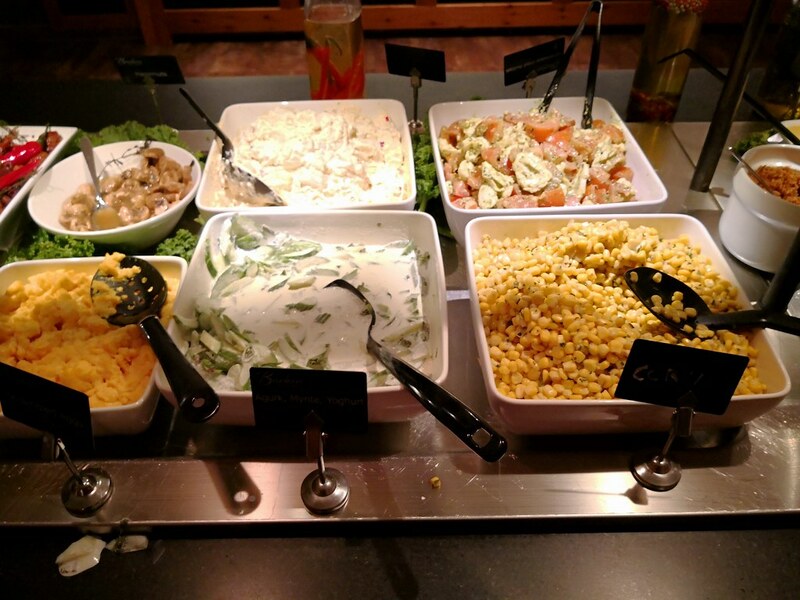 On one of the nights, I went for the buffet dinner, served at the same Barken restaurant. While the hotel recommends reserving seats for dinner, I found it was easy to walk in without any reservation. 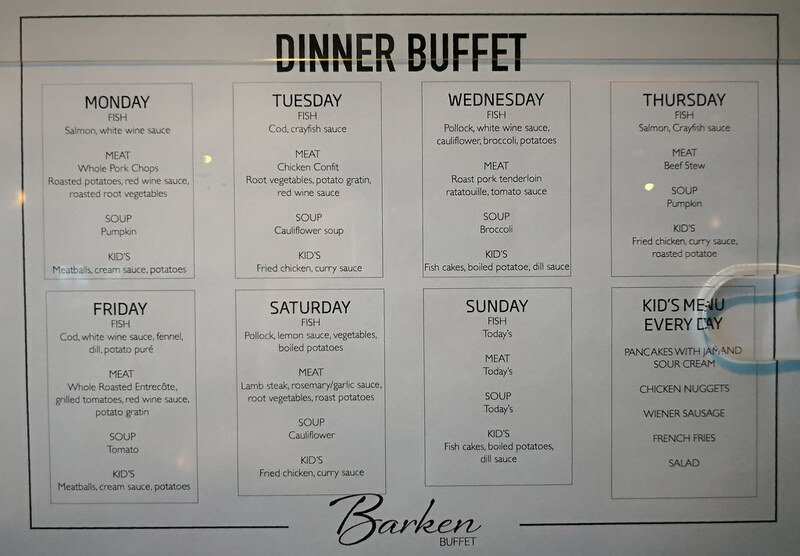 Two different seating exists for the dinner, one at 6pm and another at 8:15pm, and the main courses in the menu supposedly changes according to the day but it does not seem to be accurate as the dishes served was nowhere close to what was stated on the menu. 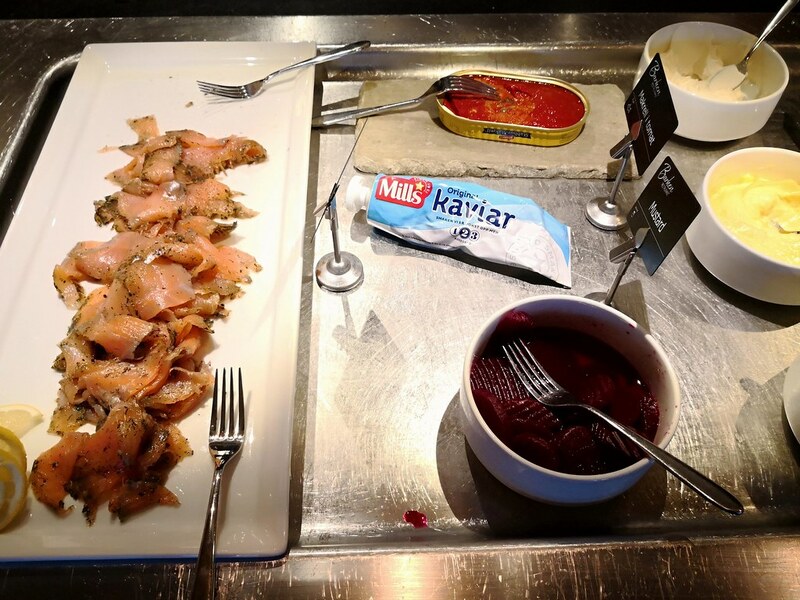 Like many hotel buffets there was an appetizer area and being Norway, there are hot and cold smoked salmon, with one of the cold salmon being marinated with herbs. 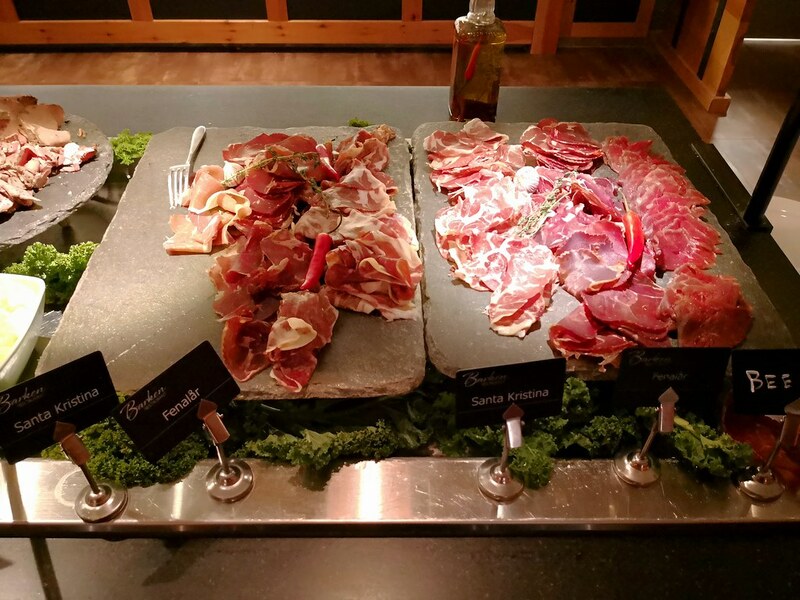 Cold cuts and sliced meat is featured prominently as well in the buffet with several types of sauces to go along with the sliced meat. 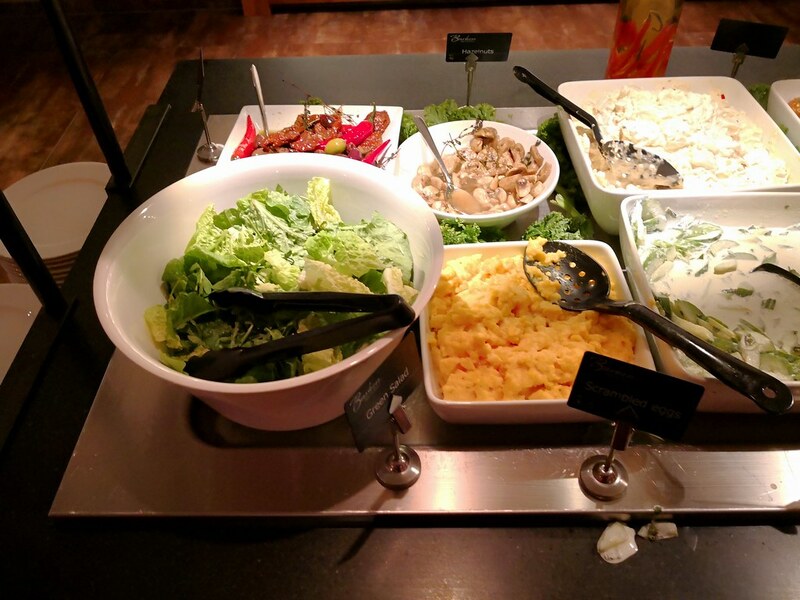 In the salad bar, there was fresh lettuce, corn, cucumber in yogurt, and several types of pickled vegetables and mushrooms. 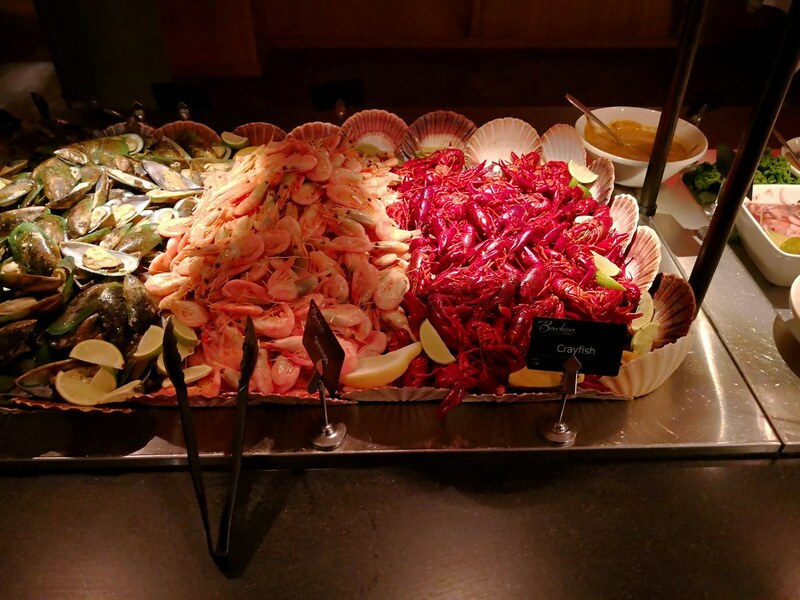 One of the things that got me interested in the buffet was the generous portions of seafood including crab claws, mussels and sweet prawns. There was crab shell stuffed with crab meat as well and while these are served cold, the freshness of the produce was delightful with a bit of lime or tabasco! There was even mini crayfish on the buffet which seems to be found in Europe as I had a soup featuring this tiny crustacean in Lech am Arlberg before. 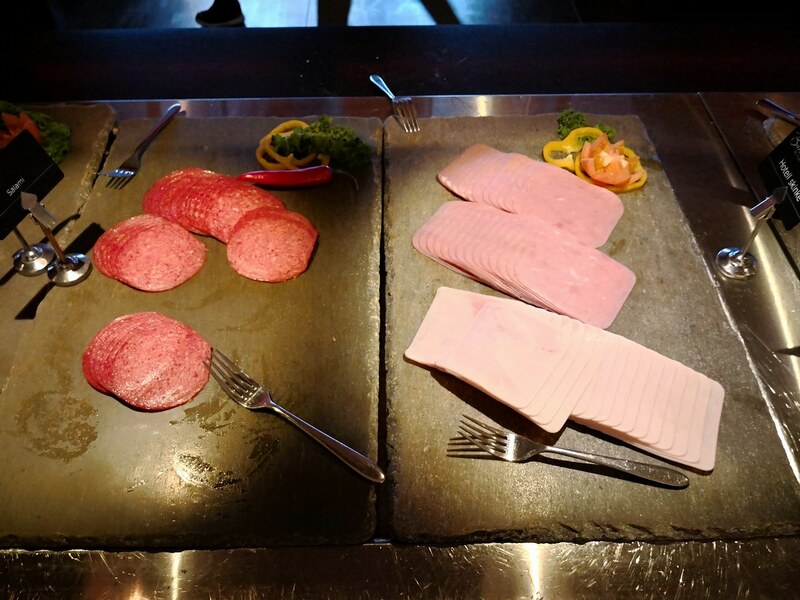 Aside from the central buffet table, there was one fish and one meat dish, and while it was supposed to be salmon and pork chops, the buffet served cod and rump heart. 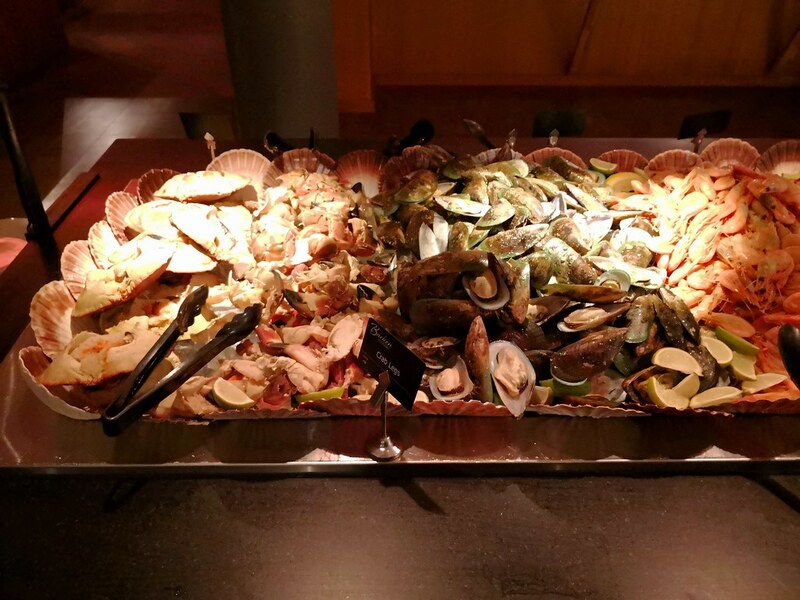 Compared to the rest of the seafood buffet, the cod and meat served was somewhat lacklustre though. After the main course, there was still dessert and the spread was pretty good. There was small canisters of puddings, some sort of meringue-like cookies with vanilla sauce or strawberry jam. Other desserts includes cube cakes with strawberry and mango topping. There was fruit tarts, apple pies and carrot cakes. And like all buffets, the desserts here does not disappoint. 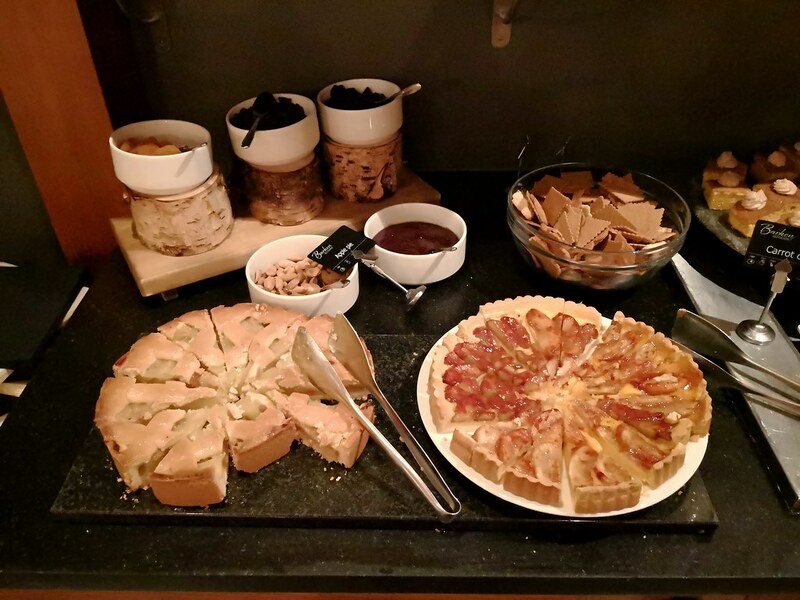 Buffet dinner includes the use of espresso machine to make some coffee with a selection of tea bags on the side. 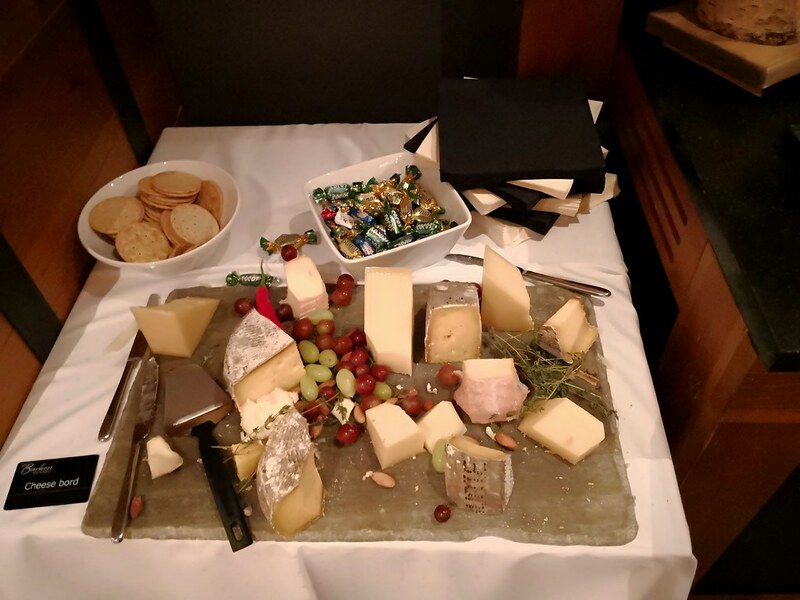 Plus the cheese board and candies provided, they make a nice ending for the meal. 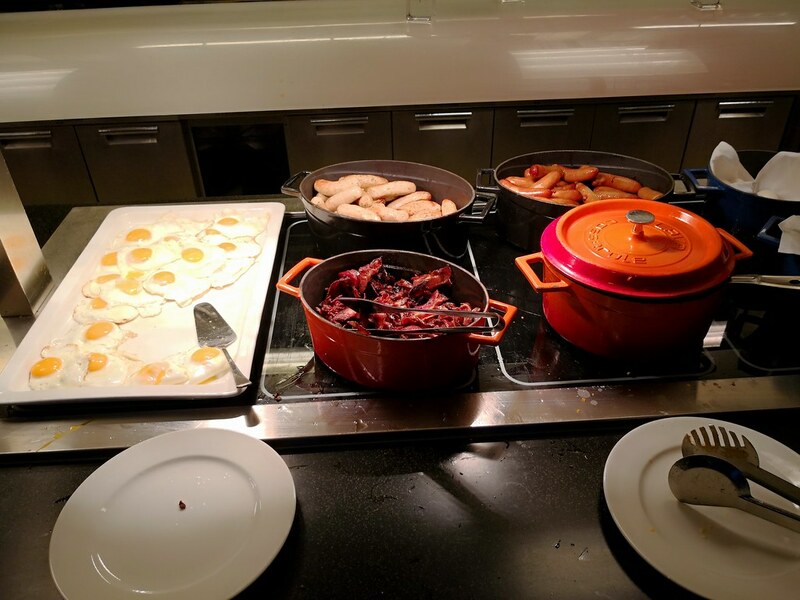 For the buffet dinner, the cost was NOK400 (~$57) and while expensive, this was the cheaper than an equivalent 3 course meal at a premium ski resort. 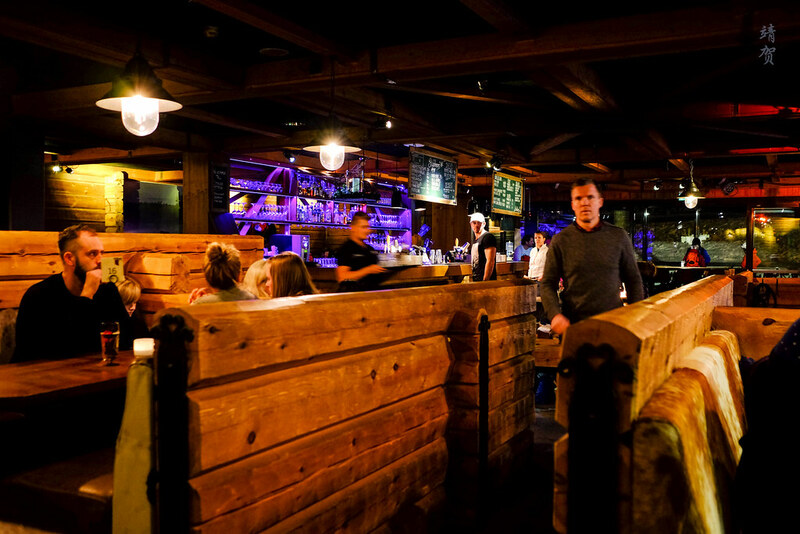 During my stay at the Radisson Blu Mountain Resort in Trysil, I had another dinner at the Stabben Afterski, where I ordered a simple Fish and Chips. The portion was something I would consider as a light dinner since there was only one portion of fish stacked over thick cut fries. 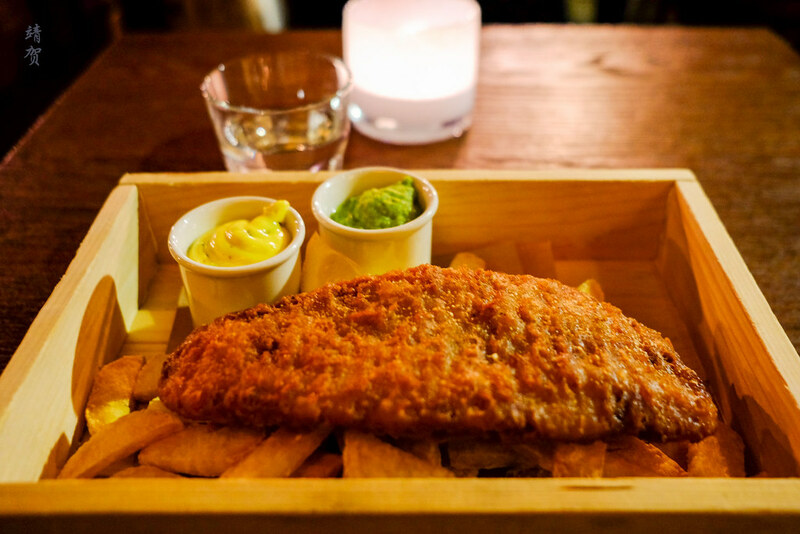 The dish was served with a mustard mayo and a herb sauce, both of which was tasty as dips for the fish and the fries. 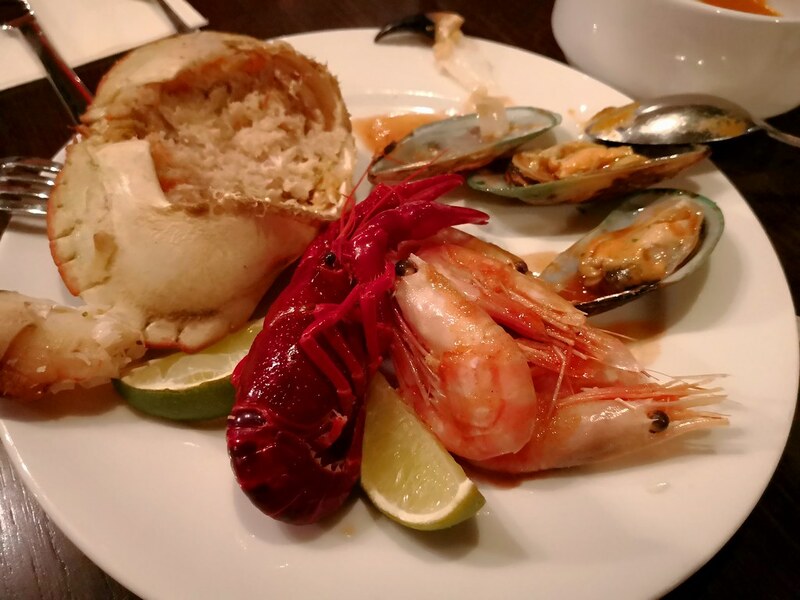 Taking into consideration of the freshness of the food and the fact the resort is at a relatively remote inland location, it was great to be able to enjoy such fantastic seafood. 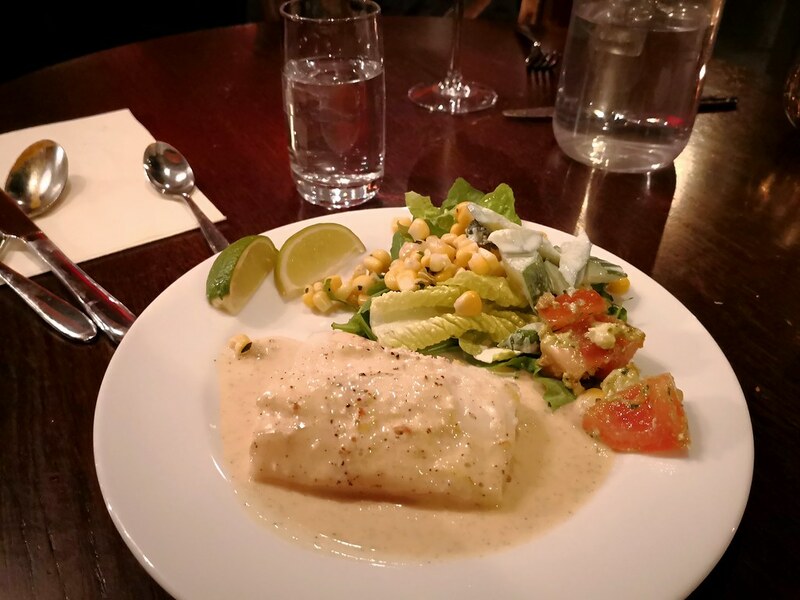 The meals presented some Norwegian specialties that certainly gave it a local flavour and allowed travellers to enjoy what Norway has to offer. 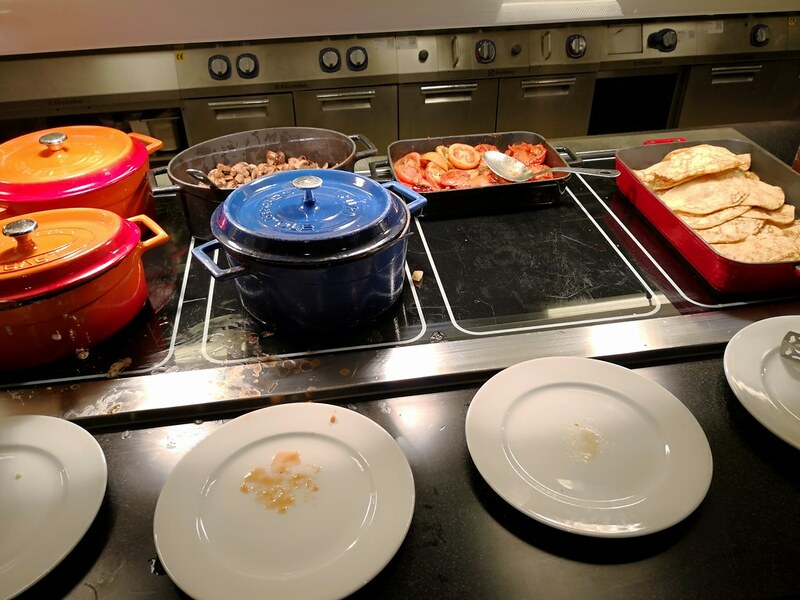 Sadly though, that was the only redeeming factor of the stay, and I still cannot in all honesty recommend a stay at the Radisson Blu Mountain Resort in Trysil. 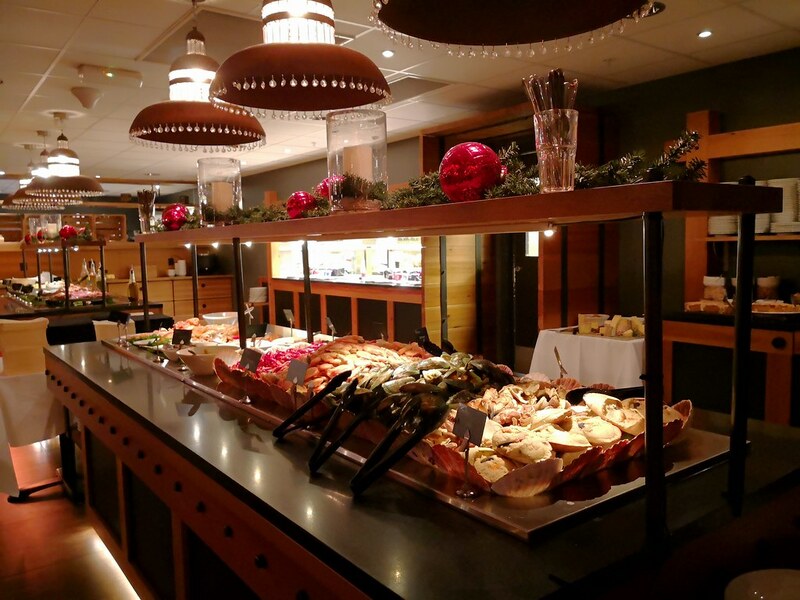 Rather, I would probably suggest the original Radisson Blu Trysil located nearer the Turistsenter.